Inflammation and pain in your joints can cast a rain cloud over your daily life and hamper your thoughts and functioning. At the Prima Health Clinic in Dallas, Texas, accomplished and good-natured physicians, Dr. Thuy, MD, and Linh Nguyen, MD, provide advanced, innovative, and highly effective treatment methods utilizing a more holistic and natural approach to combat the source of the problem. 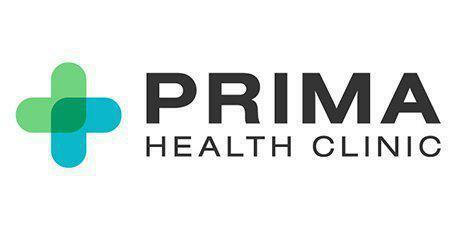 Prima Health Clinic offers the AmnioFix® restorative medicine solution to stimulate healing and cell regeneration. Call or book online to discover AmnioFix. AmnioFix is a convenient treatment that can be performed in the office. It involves an injection of human amniotic membrane allograft to assist in healing, decreasing inflammation, and repairing wounds and damaged joints. At Prima Health Care, Dr. Thuy and Dr. Linh Nguyen use AmnioFix for injury recovery and to treat chronic osteoarthritis, tendinitis, plantar fasciitis, and other related conditions. The AmnioFix injections are made up of amniotic membrane allograft composed of dehydrated human amnion/chorion membrane that’s derived from placental tissue. The placental tissue is safely and carefully stored and terminally sterilized for later use. The tissue comes from consenting mothers after a live, full-term cesarean birth. After Dr. Thuy and Dr. Nguyen apply the AmnioFix to the targeted area, it signals to your body’s own cells to travel to the injury site, boost the healing processes, and regenerate damaged tissue. The AmnioFix injection has growth factors that effectively modulate inflammation and decrease the formation of scar tissue. What can I expect after my AmnioFix appointment? Your AmnioFix appointment is short and typically only requires a consultation, an evaluation, and a quick injection. After your injection to the injured area, Dr. Thuy and Dr. Nguyen may prescribe some rehabilitation exercises or refer you to a rehabilitation treatment center for additional care to help boost your strength and functioning. You can return home when you’re ready. How do I know if AmnioFix is right for me? You might want to consider AmnioFix if you’re dealing with chronic osteoarthritis, tendinitis, or other related diseases, if other treatments aren’t providing relief, and if you’re dealing with chronic pain and inflammation that’s impacting your daily life. If you’re interested in a more natural approach to healing, you might want to learn more about AmnioFix as an innovative non-surgical, non-pharmaceutical, and non-steroidal solution. If your pain and inflammation is getting you down, find out how AmnioFix can help and call the Prima Health Clinic or book your personal consultation online today.